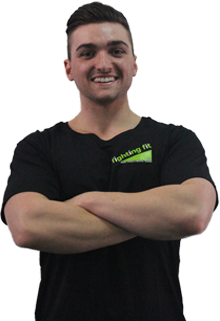 Conner joined the Fighting Fit team in 2017 after years of experience working in commercial gyms in Auckland and Melbourne. Born in New Zealand, Conner also has years of personal experience in gyms and has been bodybuilding competitively since 2015. His combination of personal experience and fitness education has given him a unique insight into the fitness industry, including an understanding of how much the mind affects the body when it comes to meeting your fitness goals. Conner’s love of fitness began after gaining weight as a young man. He became increasingly dedicated to training and bodybuilding as he lost weight and gained a renewed sense of confidence. As the weight began dropping off and he became more comfortable in his skin, Conner made the decision to become a personal trainer so he could help others in a similar situation. His passion for fitness soon turned into a profession, with Conner studying personal training in Auckland before moving to Melbourne. Since joining Fighting Fit PT in 2017, Conner has had great success as a coach and helped countless people to meet their fitness goals. He enjoys working with people of all ages and fitness levels and is available for groups, private personal training sessions, and semi private personal training sessions.